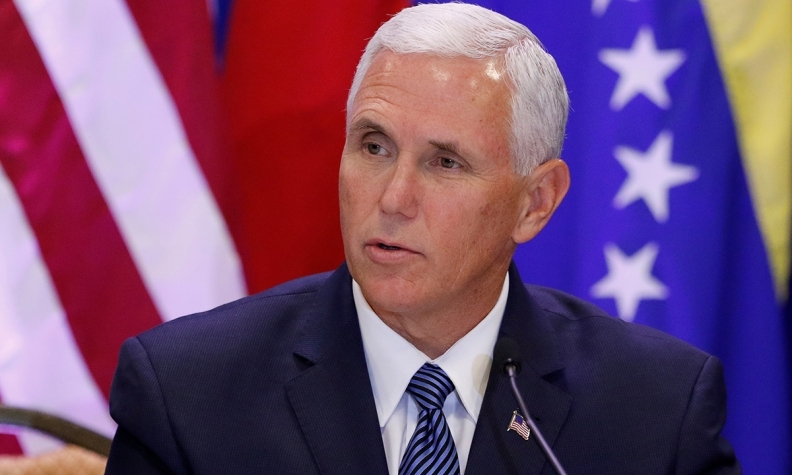 WASHINGTON -- Top executives from the Detroit Three automakers met with Vice President Mike Pence on Monday amid tension over the Trump administration’s efforts to revamp the North American Free Trade Agreement. Fiat Chrysler Automobiles CEO Sergio Marchionne, General Motors CEO Mary Barra and Joe Hinrichs, Ford Motor Co.’s president of global operations, discussed "trade, commerce and manufacturing policy and how it impacts their business." The meeting also included National Economic Council Director Gary Cohn and U.S. Trade Representative Robert Lighthizer, the vice president's office said. Automakers have plenty of issues to raise. President Donald Trump has pushed for companies to construct more auto assembly plants in the United States, while also pushing for major changes to NAFTA. Trump’s negotiators want to increase the share of U.S. parts required for vehicles assembled in North America to receive duty-free treatment under NAFTA, a change that the auto industry has warned could undercut Trump’s America First goals. "We view the modernization of NAFTA as an important opportunity to update the 23-year-old agreement and set the stage for an expansion of U.S. auto exports," Matt Blunt, the president of the American Automotive Policy Council, said after the meeting. Blunt said that the automakers appreciated "the opportunity to directly address the industry's concerns with the administration's rule of origin proposal." Lighthizer is overseeing the renegotiation of NAFTA on behalf of the Trump administration. The latest round of negotiations ended last week with little progress. Mexico and Canada rejected the U.S. proposal to raise the minimum threshold for autos to 85 percent North American content from 62.5 percent as well as to require half of vehicle content to be from the United States. Meanwhile, the administration is conducting a review of environmental regulations enacted during the Obama administration that aim to boost the fuel efficiency of the average new car to more than 50 mpg by 2025. Carmakers say the rules are too aggressive and asked the Trump administration to reopen a review of the regulations.